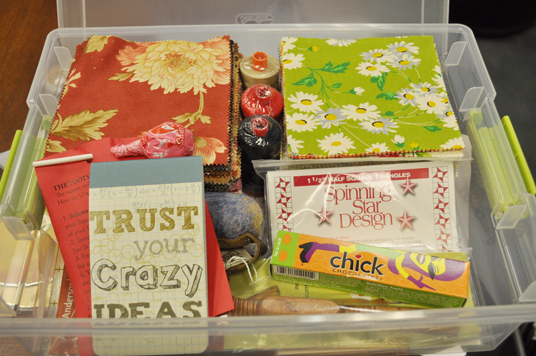 A box of treasures, including a large assortment of charms from my collection, auriful threads, spinning star papers, omnigrid ruler, notepad, chocolates and candy. BUT …..I know the questions were hard and you told me so. SO… I have drawn a total of 20 names. Send me your info by March 6th. Stacey- for being the first to comment I have a goody for you. Send me your info. and Laura T from Redmond, Wa. and thank you again to everyone for choosing moda. Wow! Congrats to all the winners! Congratulations to everyone! I love that green and white daisy print on top. Thanks so much and congrats to all the other winners!! Congrats to all of you! Congrats to all the winners! thanks for the chance Ms. Lissa. Congratulations to Emma from Austin! Wow!! Ms. Lissa … thank you so much for your generosity!!! I so enjoyed the whole tour, what fun and what neat things to learn 🙂 I adore Moda!! Thank you Thank you!! "Yay!" for all of the winners 🙂 All 20 of you ~ Lissa, you are so sweet!! Yahoo!!!!! What a great giveaway! Thanks, Lissa! Congrats winners! thanks so much Lissa! How Awesome is that 🙂 20 Winners what a wonderful surprise for all of yo! Congratulations! Holy cow ~ what a wonderful windfall for the winner and congratulations to the runners up! All I can say is WOW and thank you!! Congratulations Emma!! And to all of us secondary winners too! I was so happy to see my name on the list. Thank you Lissa! I hope I emailed you in time, sent my info to you yesterday afternoon. Thank you for such a great giveaway!!! Like Dorian above, I hope I emailed you in time…I've been so busy keeping up with the Block-a-Palooza quilting blocks that my computer time has been almost non-existent!!! Congratulations to Emma!! You know, I just got an email about this, I never even saw these results, and I was a winner, and did not even know about it. Bummer :O( Not sure why I never saw the results of this, your blog is in my reader. hhhmmmmmmm, that is stinks. Congrats everyone.